Hull and turret... must... ceramic blocks. You can not imagine hoe much work and resources (money, science, technology) must be invested into a new armor. Dozens of turrets firing trials, introduction of new casting/ I suppose the things you highlighted is desires. BTW - accoding to Bumar-Łabendy PT-91M (Malaj) have for 30. degree slighty up then 500mm vs APFSDS-T -it's impossible whit old kwarz filter. Creation of a welded turret or at least new turret requires a large ammount of "base resourses". A scientific "school" on welding and armour materials, it is not possible just to appear from nothing. And for example it was 40 years passed from t-64 welded (http://btvt.info/3attackdefensemobility/turret_welded.htm) turret to t-84. Some pics of Borsuk/Badger IFV. This time with Soucy tracks instead of DST(iDST 364D). Borsuk finally starts to look like a real vehicle. Prototype of Leopard 2PL. Official presentation will be at MSPO. Are the tracks made entirely out of Rubber? No. You have metallic inserts into the tracks.
" Rubber Band Tracks are made with grade 5 rubber and reinforced with Kevlar fibre, a lightweight and non-flammable compound that protects against RPGs and high temperatures in harsh environments. Their carbon nanotubes confer twice the durability of steel tracks." Leopard 2PL won't be unveiled at MSPO 2018. As opposed to two versions of PT-91M2 and LOTR Kleszcz. Rubber tracks always have some kind of insert to increase rigidity and to take the tensile forces applied, rubber by itself doesn't survive repeated high stress. Much like car tires, you tend to have steel or aramid fibers. Also, for maintainability, band tracks are almost never made continuous. They are instead segmented, and the connections between segments are steel hinges and pins. Diehl band tracks are segmented, not Soucy’s one. One of the true surprises at MSPO in Kielce was the suggestion that the South Korean K2 tank might be a viable candidate to replace the Polish Army’s main battle tanks in the future – both the T-72 and LEOPARD 2 fleets. Yet that is precisely what Hyundai Rotem has done, offering the vehicle in a variant designated K2PL WILK (Polish for wolf) in collaboration with Poznán-based firm H. Cegielski. According to the companies, K2 is the most advanced tank in the world, with a crew of three and a combat weight 55t, a 120 mm smoothbore cannon with autoloader and 40 ready rounds. It has composite armour and can optionally be equipped with a soft-kill/hard-kill active protection system. Meanhwile another Poznón company, WZM, presented a modified variant of the LEOPARD 2A5 MBT with a remotely-controlled weapon station (ZSMU) and a modern EMES-15 laser target finder with the KLW-1 ASTERIA thermal camera. A ZSMU-1276A3B, provided by ZM Tarnów, replaced the MG-3 7.62 mm machinegun, an upgrade completed in cooperation with PCO from Warsaw. This camera is already being installed on the 2A4s currently modernised to the 2PL standard, as well as on the PT-91s. It is worth mentioning that according to a late 2015 agreement, WZM is the contractor responsible for the maintenance of the 2A5s and of the electric transmission systems of all LEOPARD tanks in Polish service (2A4, 2A5 and now 2PL). At the same time, WZL is responsible for some small-scale upgrades; elements presented during MSPO 2018 fall under this category. That is definitely interesting. 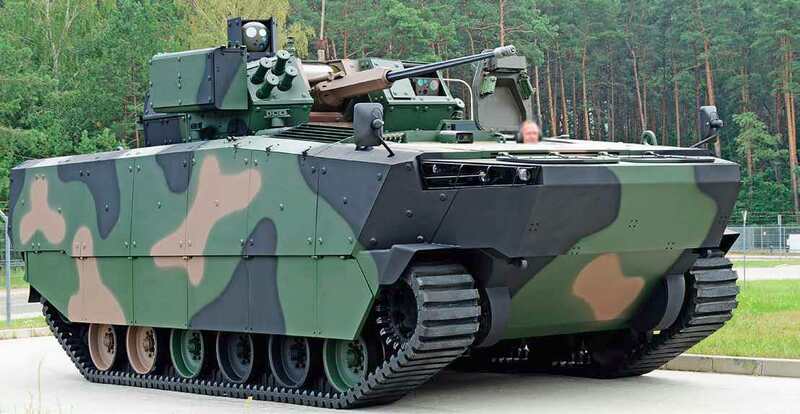 Poland has barely the money for only a portion of the complete Rheinmetall's 'Revolution' package or whatever it's called, yet Hyundai think they'll have money for the K2. I assume it means they'll have to redo the suspension for 60+ tons if they want to give them a solid armor as well. The most interesting is that H.Cegielski get to know from me about the problems with K2 powerpack and the fact that it is and will be made in Germany More over Hyundai offered that H.Cegielski can 'polonize' K2 tank in 100% and they didn't tell H.Cegielski about the problems with K2 and German involvement in its production Also H.Cegielski don't know about the unofficial offer from Rheinmetall about the production of new generation tank in Poland. But on the other hand BAE Systems offers M88A2 Hercules for Polish Army as a Bergepanzer 2 replacement. If Poland could afford to upgrade the tanks to the Revolution standard, the K2 would be only a side-grade, not an upgrade. Unless the K2PL is a major modification of the K2, it really is not suited as a replacement for the Leopard 2 and PT-91, given that Poland tries to join the MGCS program and has been offered an hypothetical next-gen tank by Rheinmetall. The PT-91MA1 seems to feature only ERAWA-1 ERA. It is much thinner than the ERA on the PT-91MA2. The PT-91M2 (A2) variant that was outside main hall was using 3rd generation Erawa-2 at least on the front chassis and turret. If Poland likes to join the official MGCS program, a few years have to we waited until the French and the German authorities really made up their mind how this next generation MBT should look like. Rheinmetall can offer in the meanwhile a lot of hypothetical concepts. The joint Rheinmetall and PGZ offer about the new tank is currently in the Polish MoD and MoD considers it very seriously. KMW on the other hand offers the reboot of Leopard 2 production in Poland. And MGCS program is probably not only KNDS program. 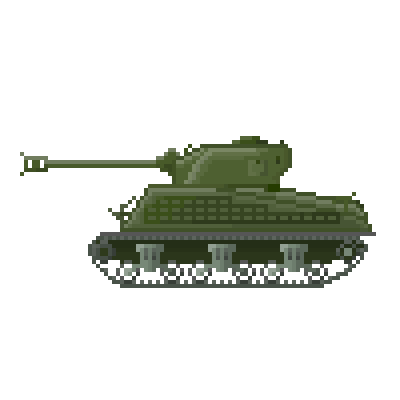 Is something known about the new tank proposed by PGZ? Could the EMBT be an interesting concept for Polish MoD as this tank has a 120 mm NATO standard caliber, an autoloader and the high mobility and reliability of Leopard 2 well known to Polish Army? I doubt that the EMBT could be interesting for Poland. They aleady have Leopard 2 turret available for upgrades while Leclerc turrets are not available yet. So atm it is much cheaper and easier to just upgrade existing Leopard 2 turret rather than buy Leclerc turrets, upgrade and then integrate them with Leopard 2 hulls (for quite marginal capability upgrades). Plus the fact that switching from a 4 man crew to a 3 man crew is not a trivial thing organization wise. I personally think that the best for Poland is to upgrade already owned Leopard 2 so that they can last until 2035-2045 then buy the MGCS which should become available around that time. It should be the most advanced western MBT at this time period (The US apparently going toward a modernization of the M1A2 with a focus on networking with UGV). Leopard 2 is known in Poland, Leclerc not. - the tank will be offered by Rheinmetall in Germany as a Leopard 2 replacement and the counteroffer to KNDS tank. Personally I think you have forgotten about T-72 and PT-91 tanks. And Rheinmetall tank will be their replacement, not Leopard's.